Liz's Paper Loft: MCT January Release Sneak Peek Day 3 ~ i heart u! Hi it's day 3 of My Creative Time's January Release Sneak Peeks! Today I get to share with you the cutest heart tag that can be embellished for any occassion! I decided to combine an older set using the monster with this sweet tag for Valentine's Day. After coloring the monster and heart with Copic markers I finished them with glossy accents and popped them up with foam tape. A few "dolly parton" hearts made with Nuvo Drops completes this darling tag! OMG Miss Liz What a Super Cute & Adorable Tag!! Love your little Monster he's so darling and Great Coloring job too!! Love your clever idea for your little hang tag and with that sweet message!! You so showcased today's Sneaky Peek in the most Incredible clever ways you've used Miss Emma's goodies!! You so outdid yourself with a Super Outstanding Creative job!! YOU so ROCK!! Oh my goodness, your tag is so CUTE, makes me smile, thank you. Wow! Awesome tag, that monster is too cute, love it!!! Cute tag!! Love the little monster! So fun! 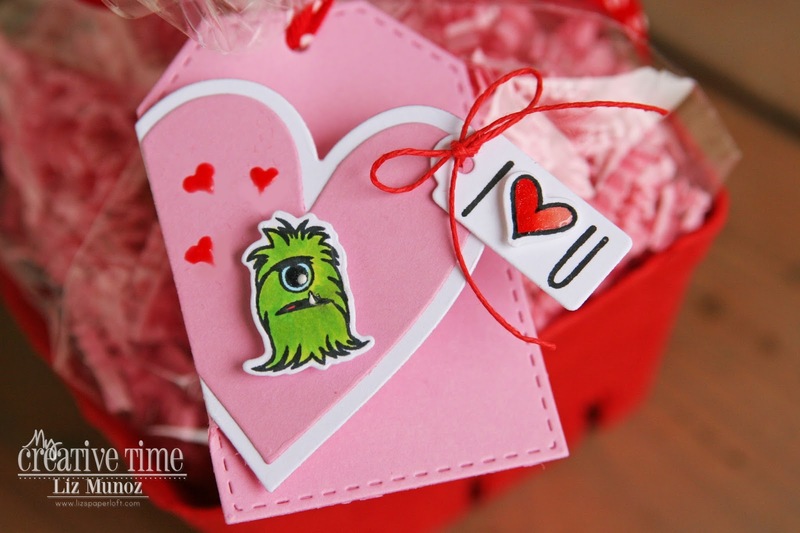 Love the little monster and sweet sentiment you added with it! 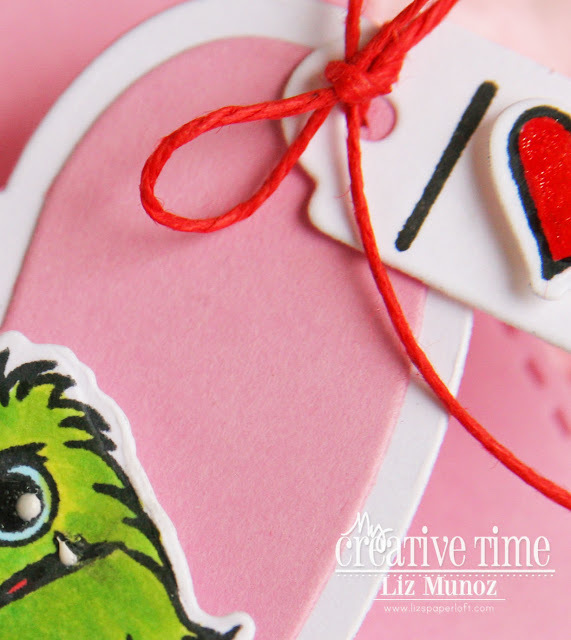 Love this fun tag with the little monster! So cute with this adorable monster. Just too cute! That little monster is one of my faves. I love that you used older sets for your tag. The little monster, tag on the tag and "Dolly Parton" hearts are so cute! Great job. I love the little tag you added to the tag! Love the monster! Nice tag! EEK!!! That monster is sooooo CA-UTE!! LOVE your Valentine tag! ADORABLE!! !